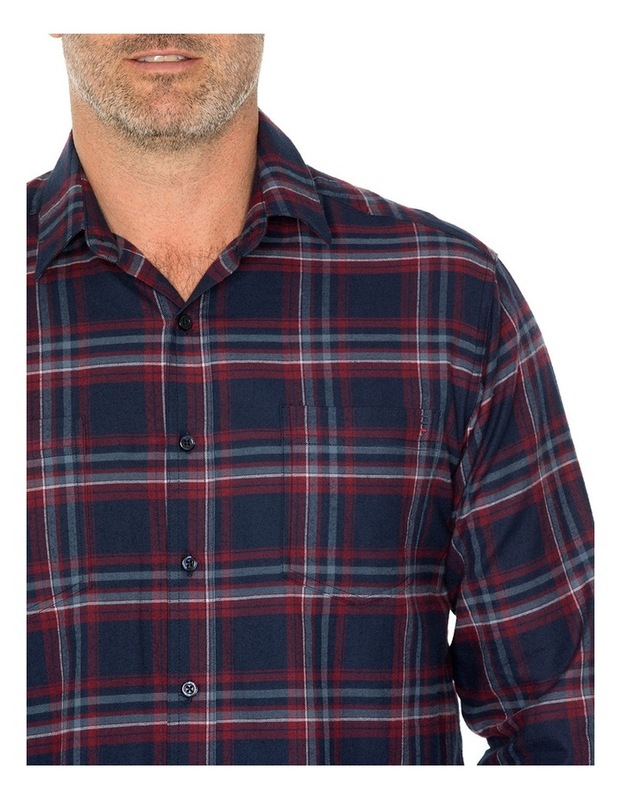 The Aaron Shirt is a smart every day shirt you can dress up for a smart look or wear casually. 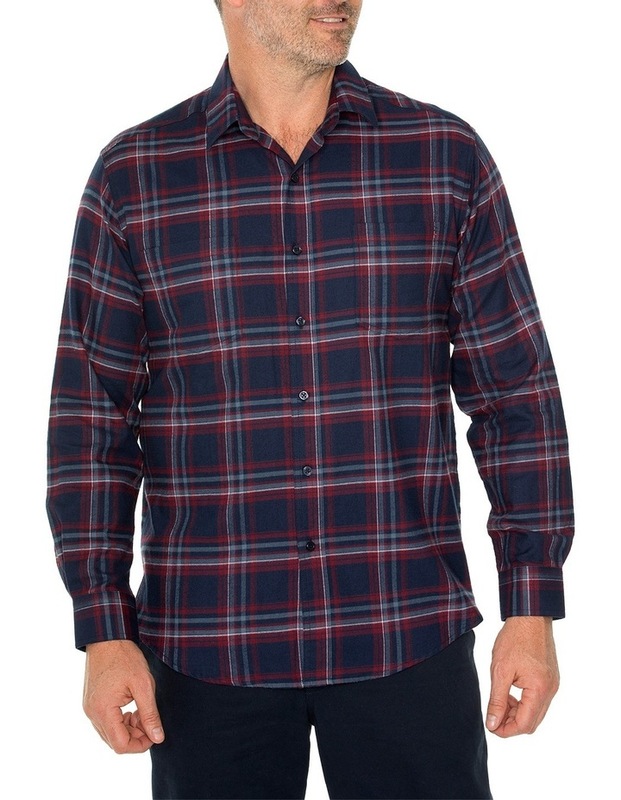 Its crafted from smooth 100% brushed cotton and features a classic check through the fabric in versatile wine tones. 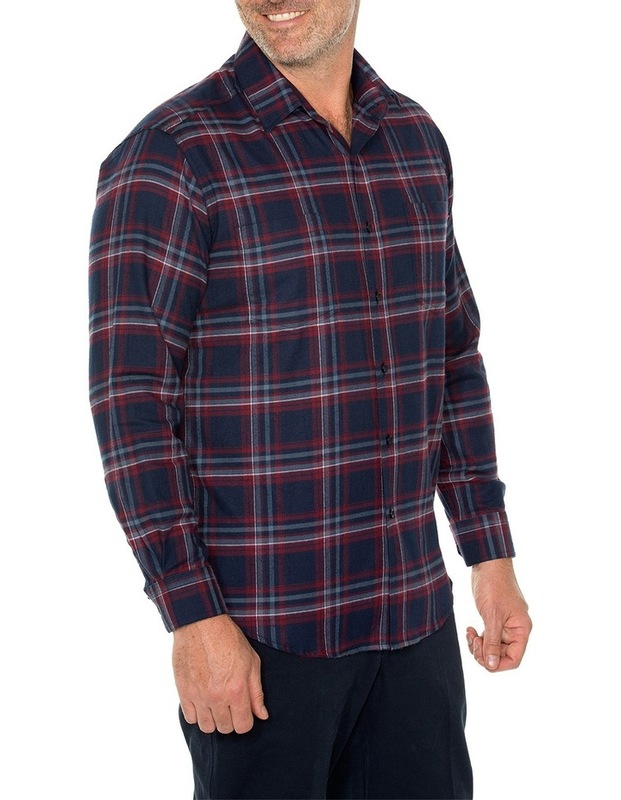 The shirt has long sleeves and a regular collar. 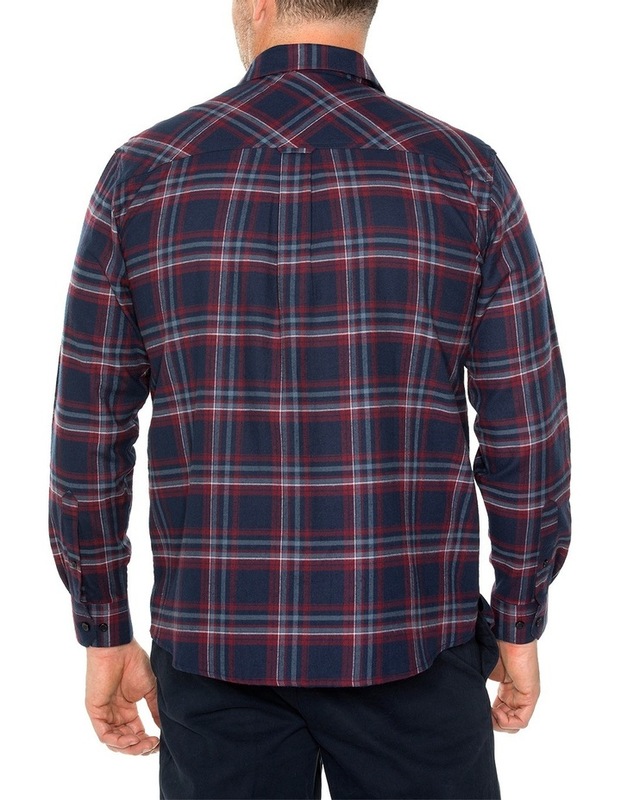 In a regular fit, its finished with a woven trim, chest pocket and coordinated buttons.